The Microsoft HoloLens has a good amount of content available, but it's fairly limited in terms of what you can customize. You can access a built-in library of holograms, but if you want to create your own you have to do that with code. Developer Jasper Brekelmans decided to solve that problem by creating a method of streaming holograms created in Autodesk MotionBuilder directly to the HoloLens. As Road to VR points out, this is just a prototype app Brekelmans created. It's not something we can actively use just yet. Nevertheless, it demonstrates a much faster way of testing holographic content in the device. The holograms stream over Wi-Fi and you can manipulate them in real time via your computer. 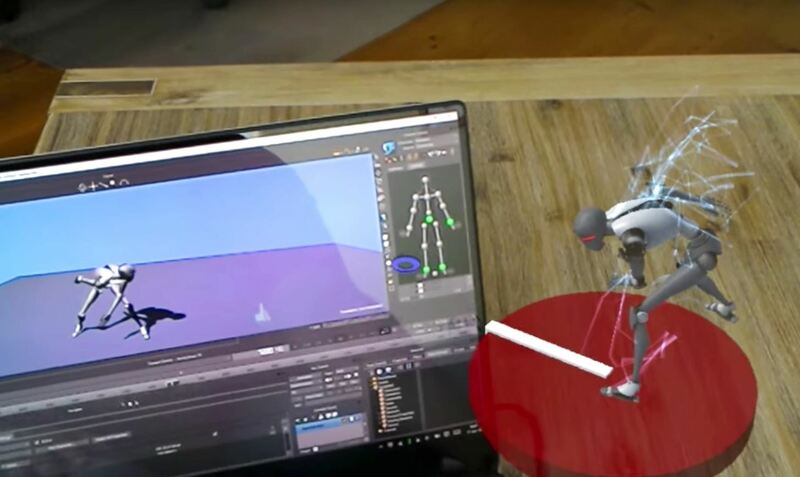 With the help of Brekelmans' app, the HoloLens mirrors all action taken in MotionBuilder. While this will serve mostly as a tool for developers, it demonstrates how easily any user might be able to stream holographic content in the future when Microsoft's headset sees public release. While most consumer devices focus on content-consumption, augmented and mixed reality headsets offer the unique possibility of content creation tools that anyone can use to create rich, new experiences. Hopefully, soon, you won't have to be a developer to design your own holographic world.